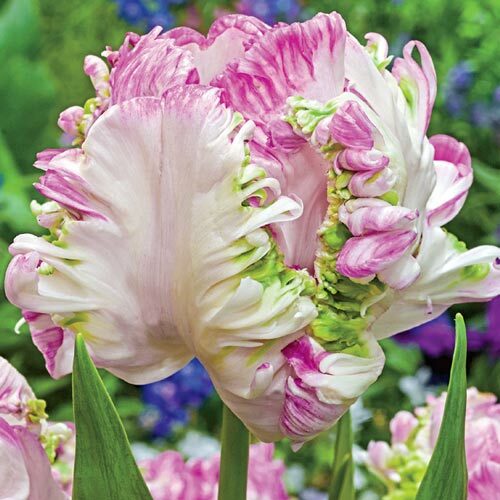 Oversized flowers with feathered petals burst forth in mid spring to create a dramatic effect. Petals are pink with creamy white and have delicate green accents—blooms reach an incredible 8" when fully open! Feathered with oversized flowers, reach 8" when fully open.